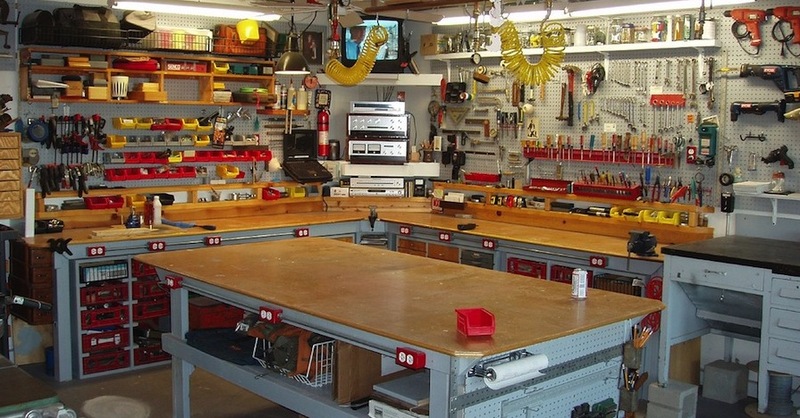 If you’re like most people, your garage has likely become cluttered. If it’s not already a mess, chances are that you’re on your way. It doesn’t take long for piles to start forming. 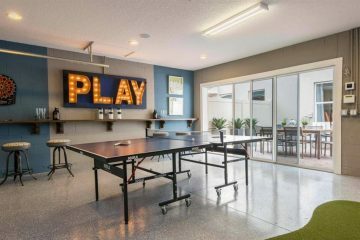 However, with a little bit of planning and the right storage solutions, the days of being overwhelmed by your garage can become a thing of the past. Shelves are often overlooked when it comes to garage storage. Most people resort to bulky bins that they can’t see through and pile them on the ground as their go-to method of storage. 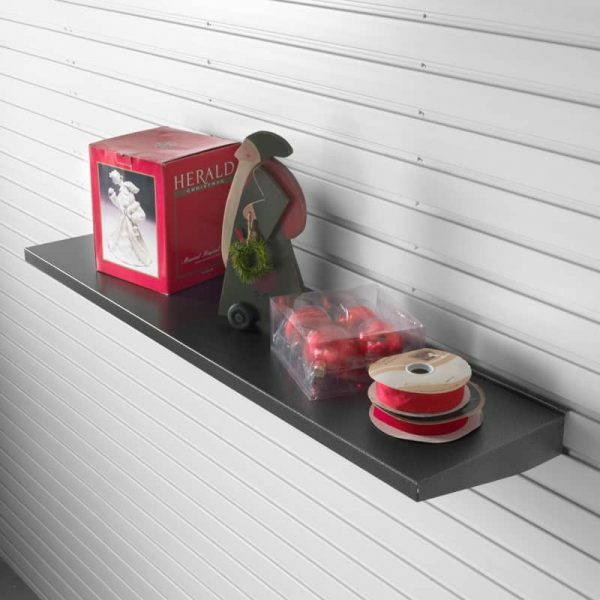 Shelves are a breeze to install, and they allow you to amplify your space by utilising the walls of your garage. Most people have designated tool boxes, but struggle with finding a way to organise their tools that don’t fit into the box. Installing hooks to hang bulkier items up on the wall will save you a lot of time in the long run – no more dealing with tangled cords! 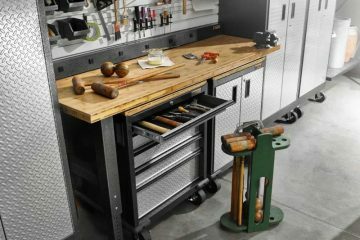 Cabinets go a long way when it comes to garage storage. They are great for storing things like soil and plant fertiliser that often get shoved into corners. 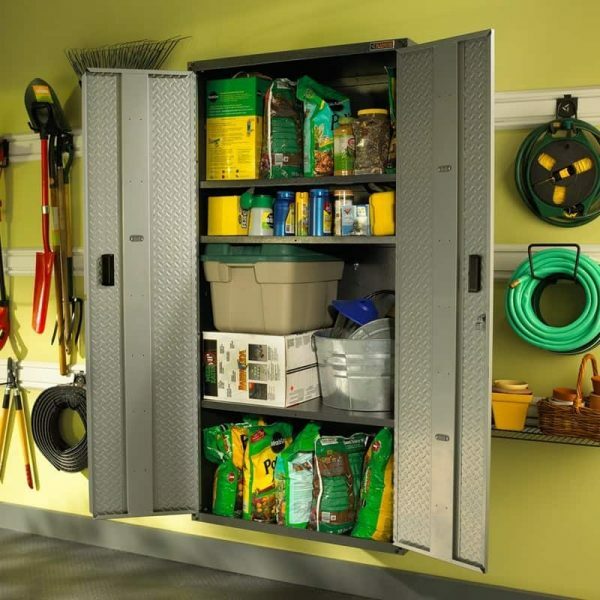 When it comes to garage store, you should use clear bins instead of opaque bins. This helps to ensure that you can see where things are without having to do a bunch of digging. 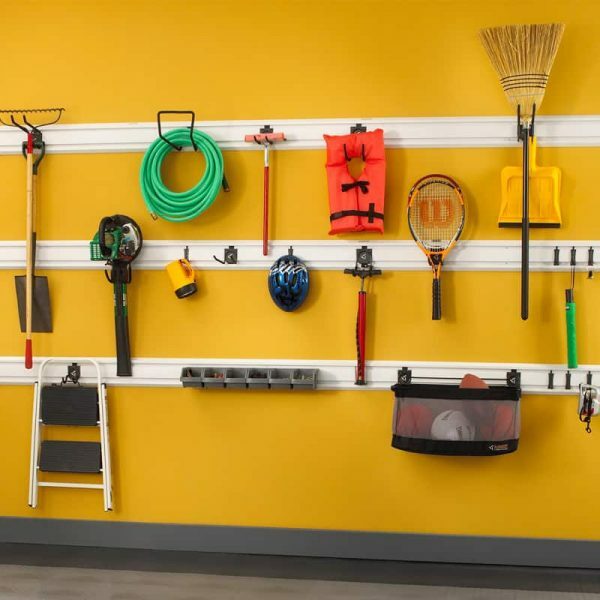 Categorising the space in your garage can help to make things more organised. Having certain sections for different things can help you to see if you may have too much of something. If a section that you designated for sports equipment is overflowing, you may want to consider donating some of the items to free up some of your space. Items such as sports gear and bikes can be stored up above and out of the way. You don’t need to install anything fancy. 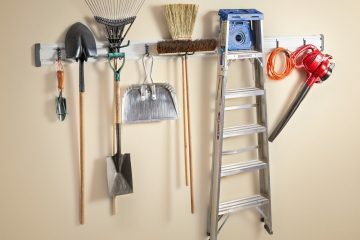 There are a few ways to get overhead storage in your garage, but a simple hoist and pulley system should do the trick to lift items out of the way. You don’t have to spend a bunch of money on storage supplies. There are many things that you likely have laying around that can be repurposed. Did you know that tie racks make great tool holders? If you have old bins laying around the house, they can be fixated to the walls of your garage to create shelves for storage. Painting the bins a solid color first will help make them look nicer. The small containers that you keep inside of the house for leftover food are also great to keep in your garage. They can be used to hold smaller items like screws, bolts, and other odds and ends. If you want to get really crafty, you can even install magnetic strips to the back of these contains to stick the containers to magnetic surfaces. It can be easy to accumulate old items thinking that they may come in handy someday. If you haven’t used an item in a couple of years, you should consider getting rid of the item to free up space. This is especially true if the item doesn’t hold any real sentimental value.